and his Papa Frank bought him an elephant ear. According to him, life doesn't get much better than that. Happy birthday, Will! This video made the rounds earlier this week and I laughed myself sick watching it. The impressions are dead on, both the vocal patterns of the General Authorities and their wording choices, and I think I find it funnier every time I watch it. Enjoy! It's unbelievable how well he captures each individual's unique tone and diction. It's really quite masterful. 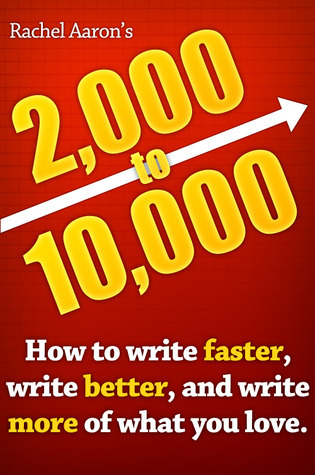 I don't usually purchase ebooks, but this one came recommended by a blog I follow, it was cheap, and the title is certainly tantalizing: 2K to 10K: Writing Faster, Writing Better, and Writing More of What You Love. Writing used to be fairly easy for me, but it's gotten harder lately. Maybe it's the fact that I seem to have so many more interruptions (**cough** children **cough**) than I used to. Or maybe it's that I don't have a secluded place where I can close the door and write without distractions (thank you, Virginia Woolf). Or maybe it's just facebook. But this book held out the hope that I might be able to find a tip or two to increase my writing output. The author writes fantasy novels, so some of what she talks about doesn't really apply to the writing I do: characterization, plot, etc. And the ebook really could have used an editor. But quite a few of her suggestions have a lot of merit and I'm going to try to put them into practice consistently and see if it helps. I'll let you know how it goes.